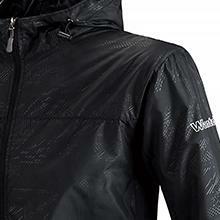 Wantdo UV Windbreaker Jacket is designed for summer outdoor enthusiasts. Light weight, easy-to-clean, wear comfortable, soft material, sun protection, breathable, ripstop, wind repellent, quick dry, making you maintain the best status in the outdoor sports and activities. Overall a great present and a great purchase. This jacket can block effectively the UVA radiation because the fabrics use special dye and construction of fibers to block the UV rays. Made out of UPF 50+ breathable sun fabric, it is quick drying. Our casual, breezy jacket is perfect for wearing over your swimwear or a tee to stay protected from the sun. This UV coat can replace sun hats, UV protection umbrella, sunscreen. Strictly selected high quality technology sunscreen fabrics can block the sun point-blank. 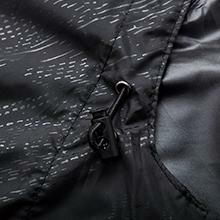 Wind hood with adjustable drawstring designed to provide additional head & neck coverage. 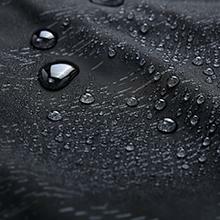 Water repellent fabric protect underneath clothes from getting wet in light drizzle. 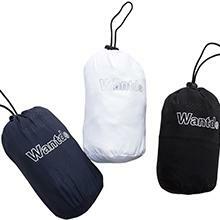 The skin coat can be rolled into a small bag.